Fast Cash Loans – Looking for a Fast Cash Loan Up To $2000? When you have a financial emergency and you have to act quickly a small loan might be the right option for you. There are plenty of options to pick from, but to find a secure an option can be tricky. 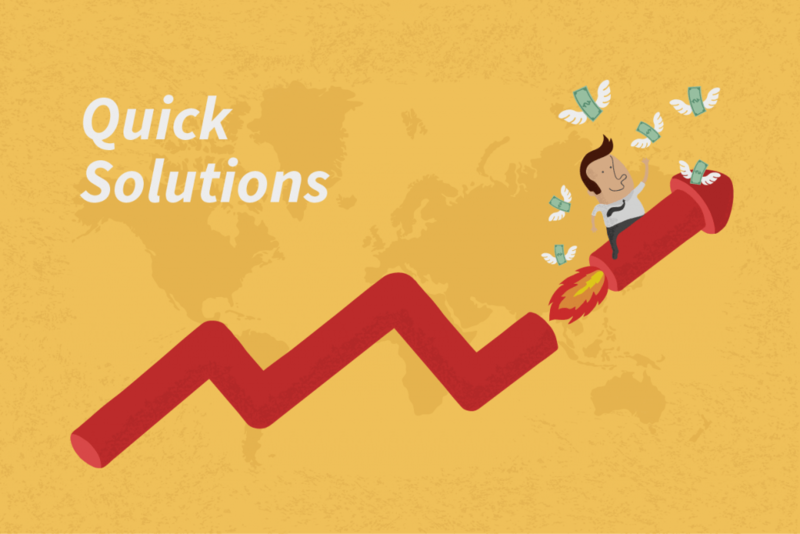 Quickle offers smalls loans up to $2000 within no hassle and tress free. To get a better idea of their fee structure visit the costs page. You can borrow fast cash from — in no time. Attempting to borrow money fast from a bank is, most of the time, an unsatisfying activity. Regardless of whether you have great credit, you are still required to submit tons of documentation, cross examined by a bank loan officer, and then wait a long period before the verdict. If you get rejected you will have to endure the process all over again, which can often not be an option. You might also want to try to borrow from your family and friends. They are the old time gateways to access funds and they’re usually agile. In general, word of honor will do and signed paperworks are optional in paying back the loan. Although you have to be careful because in the event that you are not able to reimburse the fund, it can result to a strained relationship beyond repair. Specialist lenders make it simple to borrow money fast by offering “payday” loans, as long as you qualify for the specific lending criteria. Payday loan is coined from “cash until payday” which means you are relied upon to reimburse the loan when you get your next pay check. Payday loan is also known as online short term loan. This lending option has less strict requirements than a traditional loan and the online application is quick and easy. The loan application can be completed in the privacy of your own home. Learn more about pay day loans here. Nowadays, most lenders do not require the borrowers to declare assets for collateral. Regardless of your credit status, there is no need to put your personal property or your long term financial health on the line in order to borrow money fast. To minimise cost of the loan, only borrow the amount to cover the urgent expenses and choose the shortest repayment period. Once approved, the fund is credited directly to your account. Compare the lender options — Since many lenders are operating online, it’s more convenient to navigate and compare their loan options before coming to a decision. Just go to their websites to learn more about the company details, products, and loan features. They also have a page dedicated for FAQs. Look for primary features, such as interest rates and fees, especially for short term loans. There are varying caps for an Annual percentage rate (APR) and fees for these type of loans so make sure that the lender of your choice is operating within these restrictions. Lenders also have different criteria for eligibility. These criteria can be flexible so make sure to check if you meet the requirements. Get more tips on how to get your loan approved. Generally, the criteria are age, active checking account, source of income, and valid email address. Fast applications — When you have decided which lender to deal with, completely fill up the online form and then submit it within minutes. Be ready to receive an immediate notification via email or SMS if you can borrow money fast. Cash credited directly into your account — The fund will be sent directly to your account for your convenience. If you do not have a bank account, the specialist lender can deposit the fund onto a prepaid debit card. There are also some lenders which give an option for an in-store cash pickup. In terms of safety, it is generally safe to apply for an online loan as long as the lender is a reputable institution. Check their websites to know if they are licensed and to look for terms and conditions, and privacy policies. Call their hotlines to enquire about the appropriate steps they take to protect user information – via their online financial service. You must always do further research to ensure their legitimacy. By being responsible in handling your funds, you are not only resolving the urgent financial issues, you are also protecting your financial future. For more help on the issue do proper research and know the commitment.